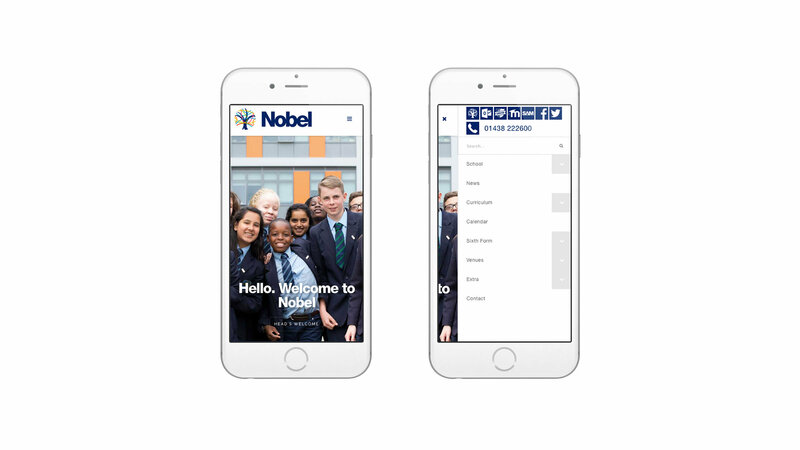 The Nobel School is an oversubscribed co-educational secondary school and sixth form founded in 1961. 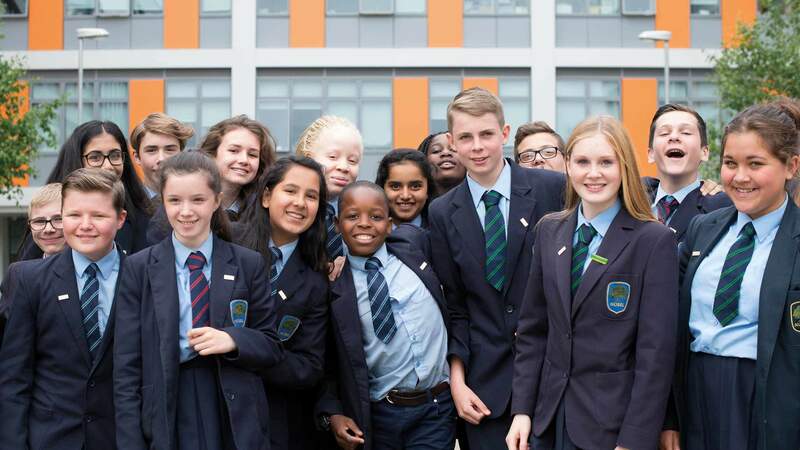 After a rebuilding programme, the school opened its doors in 2013 to a state of the art £38 million 21st century school. 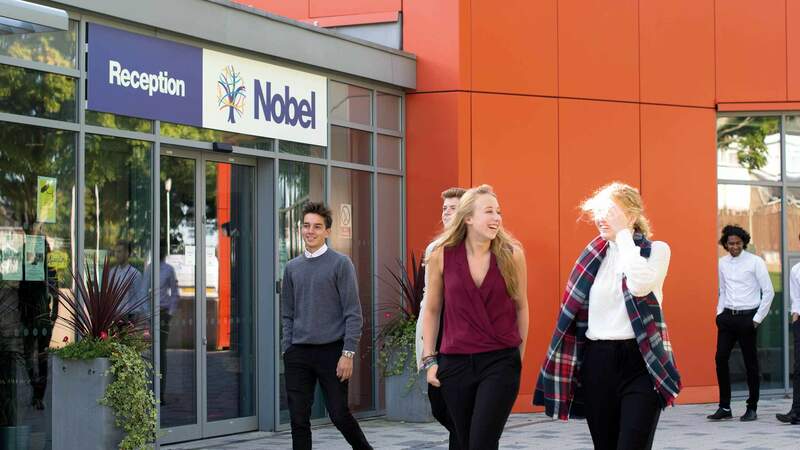 Nobel offers a unique learning environment that encourages its students to flourish. 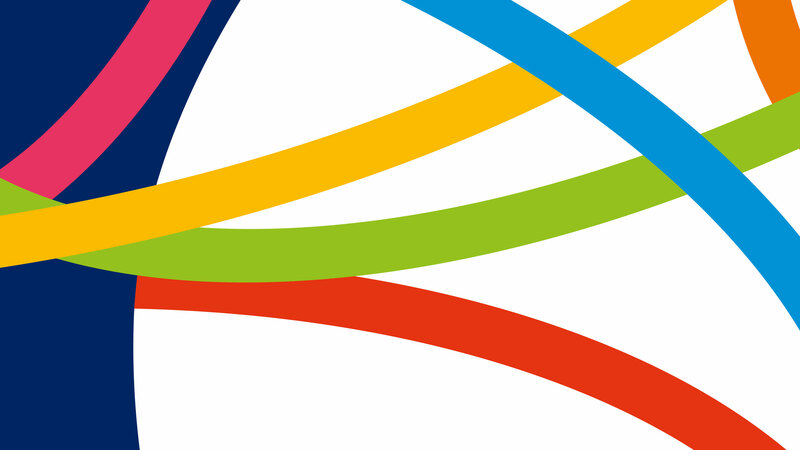 With this in mind the school commissioned Whitehot to renew their brand identity. 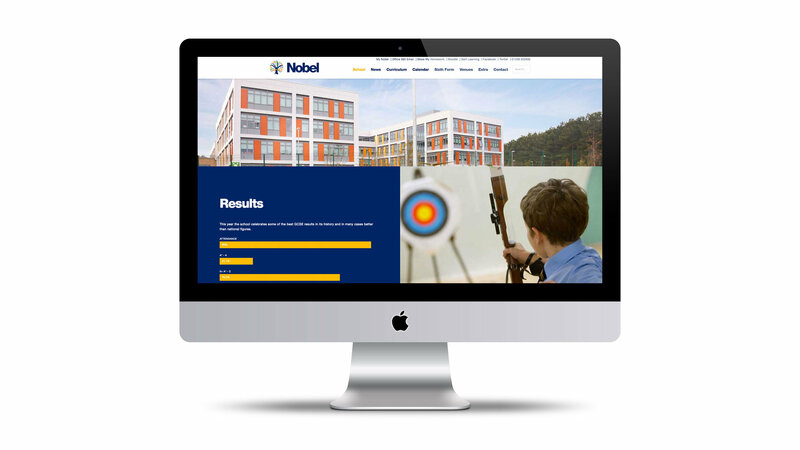 Central to Whitehot’s re brand solution was the exciting, vibrant environment that Nobelians are lucky enough to learn in every day. 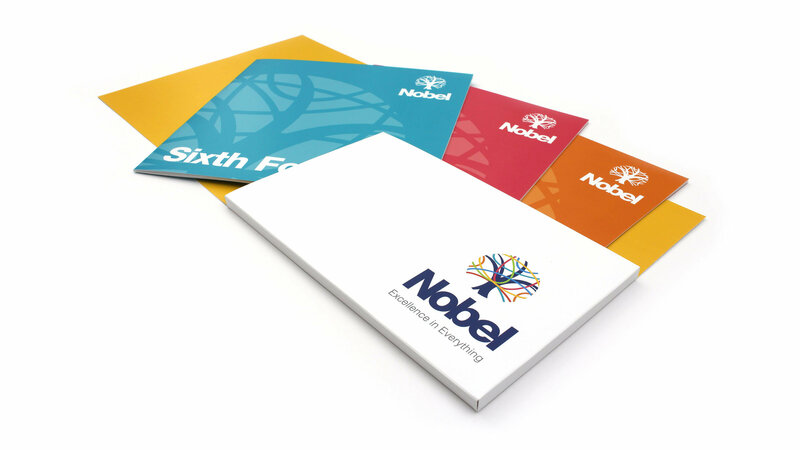 We wanted to create a brand for the school that reflected this experience. 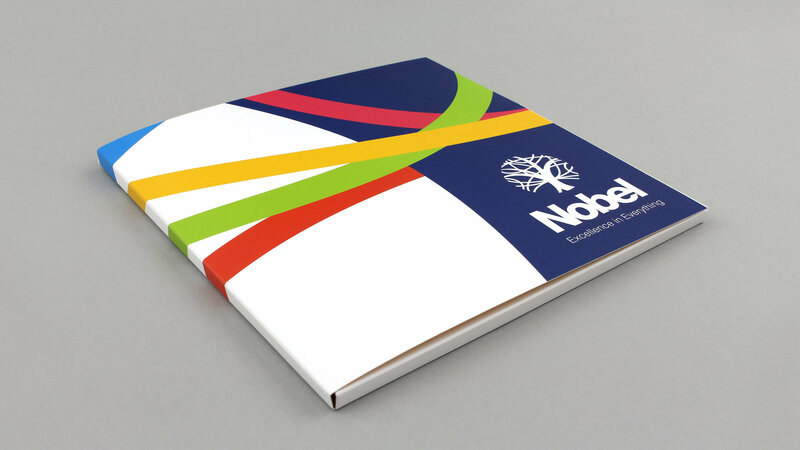 Nobel had previously used an oak tree that stands within its grounds as part of its identity and was keen to retain a link to the tree. 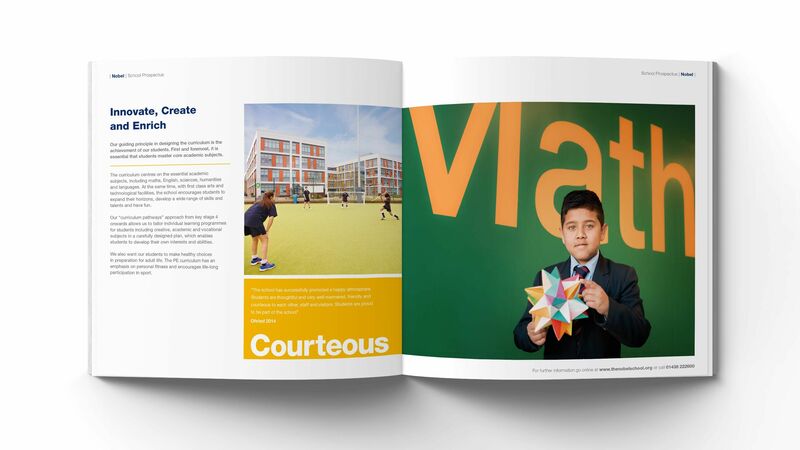 We started by looking at the brand architecture, the school required a master brand and further sub brands that would represent the sixth form, school houses and venue lettings. Our task was to create an identity that encompassed all of these. 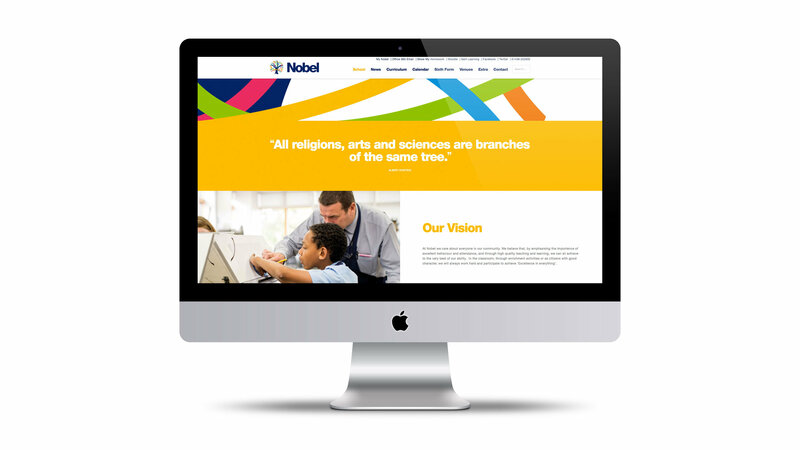 We tapped into an Albert Einstein quote “All religions, arts and sciences are branches of the same tree.” From this we created an identity that would give each branch of Nobel’s tree its own colour which when all combined would create something that was greater than the sum of its parts… their Master brand. 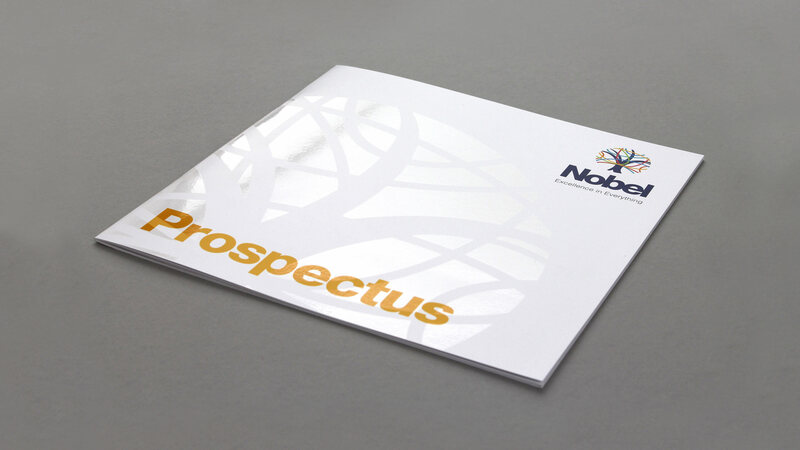 Our team went on to provide art direction for a photo and film shoot. 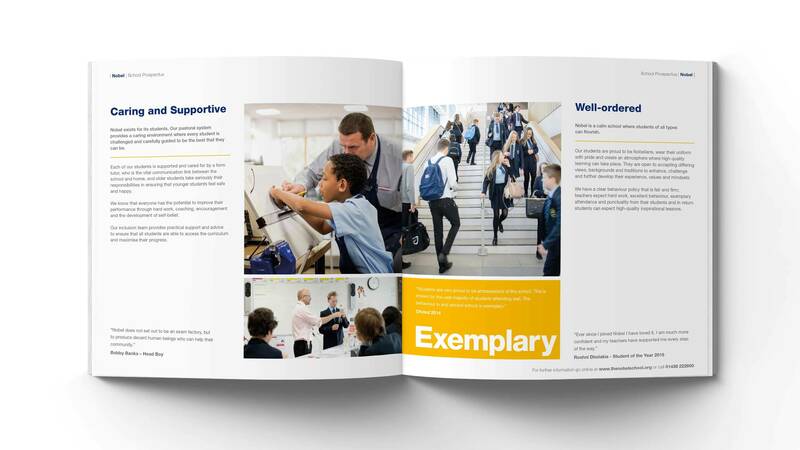 Designed and produced a family of school literature, school signage, uniform designs and a responsive website as well as a comprehensive brand guideline document. The presentation by Whitehot was excellent. 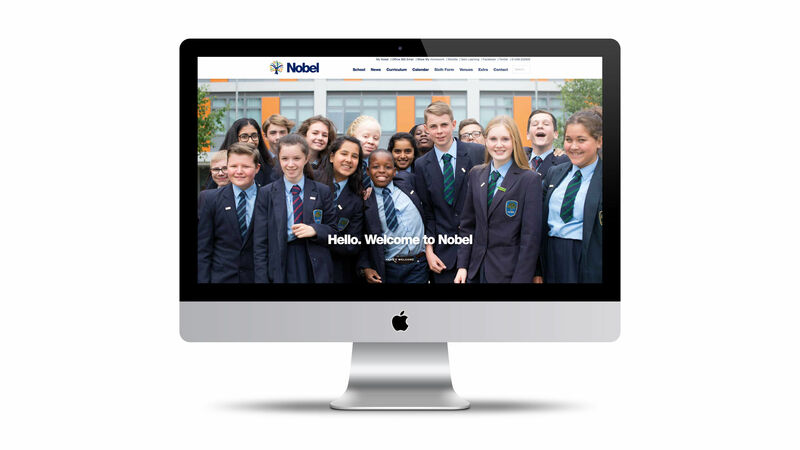 We loved the re-brand and were impressed with the way they captured the spirit of the school. They were helpful and supportive and a pleasure to work with throughout the whole process and I would definitely recommend them.